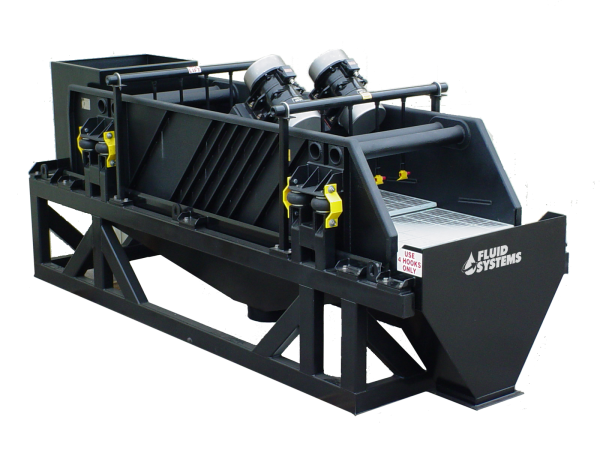 Series 6000 Model B4Z SSL Shaker – Fluid Systems, Inc. Simplicity is the essence of every FSI design. Permanently sealed vibrators make lubrication systems totally unnecessary. Low 80-dB motor vibration eliminates the need for hearing protection. Each of the unit’s five pretensioned screen panels can be installed or replaced independently of each other. Replacement takes less than five minutes and requires only a light- to medium-weight hammer.